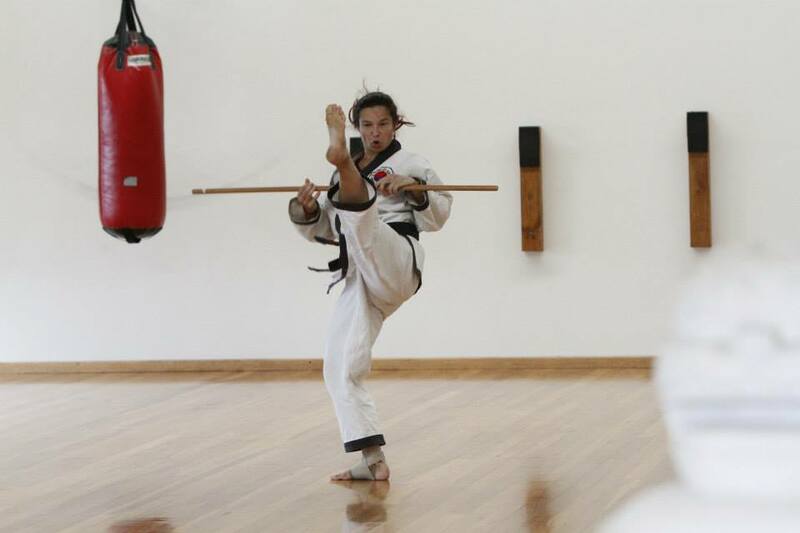 Kyo Sa Amber Hackworthy is a 2nd Dan Black Belt and has been training in Tang Soo Tao for 10 years. Linda Spielkamp a senior Tang Soo Tao instructor introduced Miss Hackworthy to the style, and mentions that “My kick bag used to hang outside of Kyo Sa Spielkamp’s massage room at the Suncoast Fitness Centre and this is where she used to give me hints on how to punch correctly as she passed by”. Over the years Kyo Sa Spielkamp became Miss Hackworthy’s masseuse, confidant and friend, always encouraging her to join Tang Soo Tao and learn ‘a real martial art’. One day Miss Hackworthy took her up on her recommendation and 10 years later now instructs the advanced belt level Adults Class, Blue belts and Red Belts. Miss Hackworthy believes the qualities to be admired about Tang Soo Tao are the practical things that it teaches, which apply to our daily life. Breathing is important, as is grounding the body, training the mind to be as strong as the body and learning to move at a pace that will sustain us both physically & mentally now and into our mature years.